John Hood is president of the John William Pope Foundation, a Raleigh-based grantmaker. 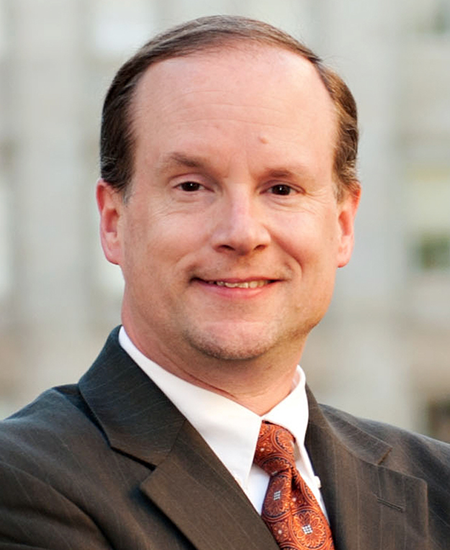 He is the author of seven books, including Catalyst: Jim Martin and the Rise of North Carolina Republicans, and teaches at Duke University’s Sanford School of Public Policy. Since 1986, Hood has written a syndicated column that now appears regularly in the Winston-Salem Journal, Greensboro News & Record, Raleigh News & Observer, Asheville Citizen-Times, Wilmington Star-News, and newspapers in 70 other North Carolina communities. His articles have also appeared in National Review, Readers’ Digest, The New Republic, The Wall Street Journal, and USA Today, among other publications. Hood chairs the boards of the John Locke Foundation and the N.C. Institute of Political Leadership. He co-chairs the North Carolina Leadership Forum and is vice-chair of the James G. Martin Center for Academic Renewal. Hood received his B.A. in journalism from the University of North Carolina at Chapel Hill. He earned a M.A. in liberal studies from UNC-Greensboro.